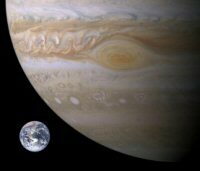 Jupiter is the largest planet in our solar system, and astrologically is graced with largesse and magnanimity. Since 5th October Jupiter has been moving retrograde (backwards relative to Earth). Today Jupiter grinds to a halt and stands still at 7° Gemini, where it remains until 19th February. It will move to the next degree and progressively build up speed in late March until it moves into Cancer by late June. 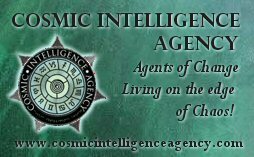 While Jupiter is in Gemini communications are exaggerated and there’s lots of news with little substance. Gemini is very light-hearted, at times shallow and fickle, and always ready to have fun and dance. But principled Jupiter is in detriment in Gemini so beware – unbelievable promises are made … and broken. So while Jupiter is retrograde it’s time to reassess principles, knowledge and understanding. You need to dig deep to find anything of substance. Once Jupiter moves forward, all that you have learned since October is ready to be shared. Hopefully you’ve been communing with your inner guru. What new knowledge has come to light? Have you learned to laugh and lighten up, and to enjoy the moment? And while Jupiter sextiles Uranus exciting new opportunities arise that will break your usual routine.